Fleur de Lys Guest Farm is set on a tranquil farm in the heart of the Eastern Lowveld. 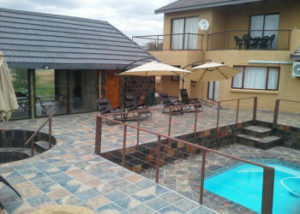 With majestic panoramic views of the Drakensberg Mountains and is situated only 40 kilometers from Kruger National Park. Offering the option of a Farmhouse, Family Unit and 3 Rondawels. All units is equipped with a ceiling fan as well as tea and coffee facilities. The thatched Rondawels are comfortable and well-appointed and guests have a choice between self-catering and bed and breakfast. The Farm House is ideal for a family group with a large entertainment veranda and braai area. The Family Unit is made up of 2 smaller units which can accommodate 8 guests. The garden is large with a pool and a dam nearby makes for good fishing experiences. Guests can fill their days with nature walks, birdwatching and fishing. 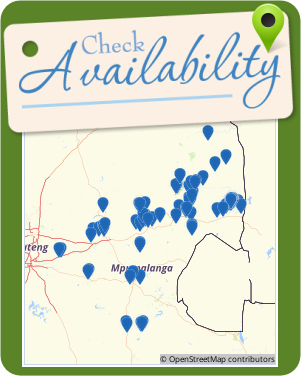 There are various activities available in the Hoedspruit area. Guests can take a trip to the Hoedspruit Endangered Species Centre, go horse riding on the Whipalong Horse Trail, brave a white water rafting excursion and enjoy the Lowveld’s exquisite views from a hot air balloon. Leadwood Lodge offers comfortable self-catering accommodation in 2 upmarket, bush-style lodges situated in a quiet and secluded, exclusive part of the Hoedspruit Wildlife Estate where game roam freely between both lodges. 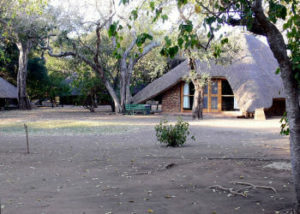 The main bush lodge is set among large indigenous trees overlooking a dry riverbed. The second lodge is privately situated away from the main lodge and offers lovely views of the surrounding bushveld. The main lodge comprises 2 spacious bedrooms, both with king-size beds and the bedrooms lead onto a wooden deck with a view of the dry riverbed. 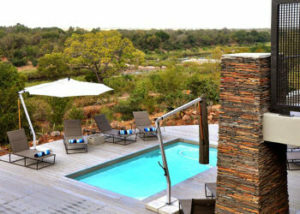 Both rooms have full en-suite bathrooms; the bathrooms lead out to outdoor showers surrounded by bushveld. 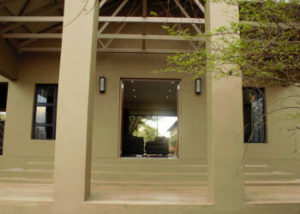 The main lodge also comprises a fully equipped kitchen and a lounge area with a flat-screen TV. This opens out onto an undercover seated dining area with a braai area located close by. A swimming pool completes the setting. The second bush lodge comprises a spacious bedroom with a king-size bed and opens out onto a patio area with views of the surrounding bushveld. The bedroom has an en-suite bathroom fitted with a shower, as well as an open-plan fully equipped kitchen, and a main living area with comfy couches and 1 sleeper couch for additional guests or children. The lounge area opens out onto a large undercover patio area with seating and a braai area. Guests have access to secure parking, free Wi-Fi, and selected DStv channels. Fish Eagle dam is located nearby, and the estate offers bird watching opportunities, game drive routes, and cycling and hiking routes throughout. Horse trails can be arranged through African Dream Horse Safaris for those who wish to experience game viewing with a difference. Kruger National Park is situated over an hour away. The newly renovated house is booked out as a self-catering unit from which the guest can freely select a room of their choice. Special discount can be arranged per person sharing a room. The remainder of the rooms not in use during your stay will remain locked. This self-catering double story house have two balconies with a panoramic view over the wildlife estate, revealing the wildlife as you stare into the openness of bushveld and the Drakensberg Mountains in the distance. The establishment can sleep 15 people (12 on luxury beds plus 3 on a tri-bunk bed). There are five spacious bedrooms to choose from to meet your needs. There are two bathrooms and an outside shower. The estate is 680ha in size, with each lodge or house set on a hectare stand. Game moves freely between the premises, so you can either let the wildlife come to you, or go on a game drive on one of the estate’s game drive routes. Access is strictly monitored through a security gate with 24 hour access control. The estate is located just a few hundred metres outside Hoedspruit, and is close to a number of restaurants, pubs and shops. The estate provide a variety of activities, such as horse riding, game drives, hiking, moutain biking and more. The establishment is a self-catering house that is fully furnished. You must experience the sunrise from one of the balconies looking out on the wilderness, or make use of the recliners at night to stare at the stars and listen to the wildlife sounds. The lounge or TV room has a DVD home theatre and DSTV Premium is included. The open plan kitchen has enough cutlery, crockery and cooking utensils with a 4 plate oven, a microwave, two double door fridge/freezers and one freezer. Many other kitchenware and equipment is available, from a deep fryer to a popcorn maker. The scullery is equipped with two washing machines and a dryer. The house has one garage with an electric door, a double and single car port. There is enough parking space for at least 5 vehicles. The house has five air conditioning units that are more than sufficient to keep the house cool. Situated in the heart of the Hoedspruit Wildlife Estate, Emeveni Bush Lodge Among the Thorns is a comfortably furnished house for friends and family, and can accommodate up to 6 people. Surrounded by bushveld, the house consists of 3 air-conditioned bedrooms and each en-suite bedroom contains a king-size bed. A baby bed is available on request. The main bedroom opens onto the deck and swimming pool, and has easy access to the outdoor shower. The open-plan kitchen is equipped with a stove, an oven, a microwave, fridge, as well as cutlery and crockery. The scullery is equipped with a dishwasher, a washing machine, a tumble-dryer, as well as an ice-maker. Wi-Fi is also available. 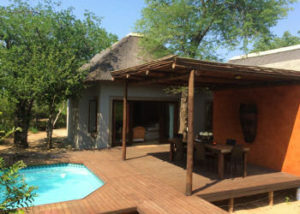 The living area opens onto the covered deck which overlooks the boma and swimming pool. As a treat, guests may also spot the Bush Babies playing under the thatched roof. Unfortunately, pets are not allowed. Guests can walk and cycle among the Baobab trees, explore the estate on the Emeveni game drive vehicle, or go horse-back riding. The Hoedspruit Wildlife Estate offers birdwatching, and is home to a variety of free-roaming animals such as zebras, impalas, giraffes, wildebeest, warthogs, and kudus. 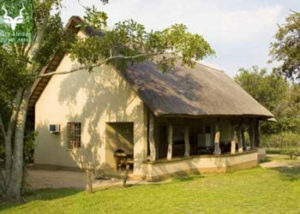 The Villa Belgium is a self-catering lodge located in the Hoedspruit Wildlife Estate. The lodge can accommodate up to 6 guests and comprises 3 bedrooms, 2 bathrooms, and an open-plan kitchen and living area. The main bedroom contains a king-size bed, and an en-suite bathroom fitted with a shower, a toilet and a washbasin. The second and third bedrooms each contain a king-size bed. Should it be required, 2 additional single beds can be added to one of the bedrooms, at an additional and by prior arrangement. The guest bathroom is a bath, a toilet and a washbasin. There is also a guest toilet close to the living area. The kitchen is fully equipped for self-catering and contains a dishwasher, stove, oven, fridge-freezer, microwave, and cutlery and crockery. The dining area has seating space for 6 people, while the lounge has a comfy lounge suite and a flat-screen TV. The living features a fan and air-conditioned. The courtyard with swimming pool and braai is ideal for sunny Hoedspruit days. 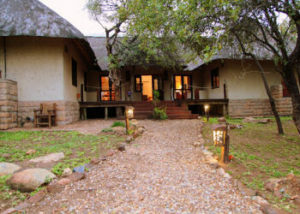 Igugu Lodge is the perfect Bushveld Escape and is located in the Hoedspruit Wildlife Estate. It offers the experiences of feeling like you are miles away from everything, yet you are only a few minutes from the convenience of the tourist town of Hoedspruit, with its selection of well-stocked shops and restaurants. The air-conditioned house can accommodate up to 8 guests and comprises 4 bedrooms, 4 bathrooms, and an open-plan kitchen and living area. The main and third bedroom each contain a king-size bed, while the second and fourth bedrooms each contain twin beds. Each bedroom has an en-suite bathroom. The kitchen is fully equipped for self-catering and contains a stove, oven, fridge-freezer, microwave, and cutlery and crockery. The dining area has seating space for 8 people, while the lounge has a comfy lounge suite and a wall-mounted flat-screen TV. The house also has a private swimming pool and outdoor braai facilities. 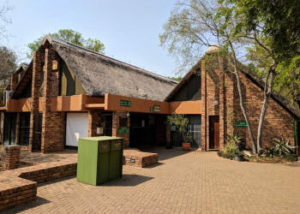 424 on 5th Hans Merensky offers comfortable self-catering accommodation in a thatched guest lodge situated at the fifth hole ladies tee box on the Hans Merensky Golf Estate in Phalaborwa. The golf course is also referred to as Golf in the Wild due the the wild animals that roam freely on the golf course and among the houses on the estate. 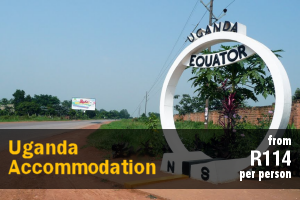 The lodge comprises 3 spacious en-suite, air-conditioned bedrooms, a guest toilet, and an open-plan kitchen, lounge and dining area with air-conditioning. The second and third bedrooms each have double doors leading onto a private deck. Each bathroom has a toilet, shower and double basins, and the first and third bathrooms each have a bath. The kitchen is equipped with a dishwasher, fridge, microwave, gas hob, electric oven, fridge and a filter coffee maker. The Laundry with washing machine and tumble drier is located in the garage. Double doors open up from the main bedroom, the lounge and dining room onto a large patio leading to the sparkling swimming pool. Guests can enjoy views of the garden and the golf course beyond. There is also a drinking pond for animals and a cement boma for camp fires in the garden. For the romantic and adventurous at heart, there is an African-style outside bathroom with a cement bath, double showers, a toilet, and a wash basin. The lodge offers a luxury bush experience, situated close to the world famous Kruger National Park which is ideal for self drive day trips or arrange with the Kruger Park rangers for guided safaris ranging from morning, afternoon,1/2 day,full day or sun downer trips at affordable rates. Ample parking is provided for 4 cars. 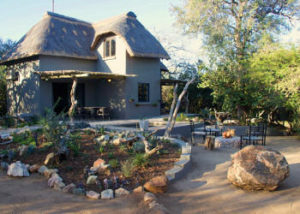 The Bush House is a beautiful self-catering house, located in the secure Hoedspruit Wildlife Estate on a private stand. This fully furnished house consists of 2 air-conditioned bedrooms and 1.5 bathrooms. Each bedroom is equipped with a king-size bed, which can also be converted into twin beds. The spacious bathroom features a shower, bath, basin and toilet. Attached to the bathroom is a private outdoor garden that features a breathtaking dual shower and outdoor toilet. The open-plan kitchen is modern and features a fridge, a microwave, an oven with a stove, and ample built-in cupboards complete with crockery and cutlery. The air-conditioned lounge has sofas to relax on, and a flat screen smart TV for media entertainment. The living area leads out to a covered patio and backyard, which features a plunge pool, a braai area, and a fireplace. Wildlife is often seen feeding nearby, and bird life is abundant. 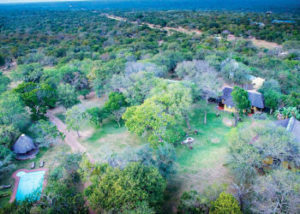 The house is located 5 minutes drive from various facilities and attractions in the town, including grocery stores, tour companies, and restaurants.There are numerous walking trails and game drive routes in the Estate, with dams and bird hides to explore. We look forward to welcoming you to The Bush House, where memories will be made. Elephant Point Yingwe Lodge offers self-catering accommodation, and is situated on the banks of the Sabie River; located in a private estate in the Kruger National Park. 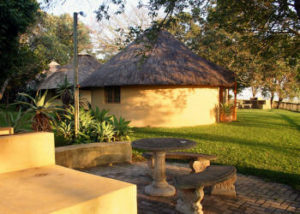 This tastefully decorated and fully air-conditioned, thatched-roof lodge comprises 4 en-suite bedrooms. Each bedroom is furnished with a queen-size bed, and each room features an en-suite bathroom with a shower or bath or both. The open-plan, well-equipped kitchen contains a double-door fridge, a built-in oven, a microwave. The adjacent living area features an 8-seater dining table, and the lounge has a gas fireplace. The living area has stack doors that open onto a spacious covered deck, which has a built-in gas braai for guests to use. Stairs lead down to the lower entertainment level, where the pool and boma area are. Elephant Point Ngala Lodge offers self-catering accommodation, and is located on the banks of the Sabie River; situated in a private estate in the Kruger National Park. This double-storey, thatched-roof lodge comprises 4 en-suite bedrooms. 3 of the bedrooms are furnished with a queen-size bed, and the fourth bedroom is equipped with twin beds. Each bedroom features an open en-suite bathroom and a private outdoor shower. The open-plan, fully equipped gourmet kitchen contains the necessary appliances to cook meals, as well as a separate scullery area. The adjacent living area is air-conditioned and features a 65-inch HD TV with DStv Explora viewing, and a surround sound system. The living area leads out to a large covered patio, which has a 10-seater dining table and a gas braai facility. This outdoor dining area leads to the firepit area, swimming pool and sun loungers. 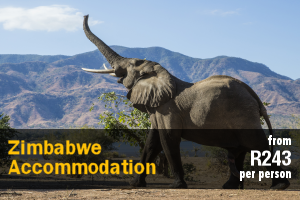 Elephant Point Matumi Lodge offers self-catering accommodation, and is located on the banks of the Sabie River; situated in a private estate in the Kruger National Park. 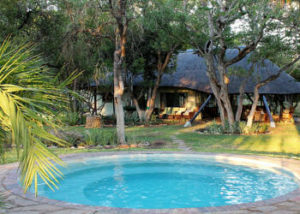 This tastefully decorated, thatched-roof lodge comprises 2 air-conditioned, en-suite bedrooms. The main bedroom is furnished with a king-size bed, and the second bedroom is equipped with a queen-size bed. Both rooms feature an open en-suite bathroom, a private outdoor shower, and a patio area. The open-plan, fully equipped kitchen contains the necessary appliances to cook meals. The adjacent living area features a designer fireplace, and opens up to a large covered patio overlooking the pool. The patio also has outdoor furniture and a gas braai facility. The property also features a private boma area with a firepit. Elephant Point Ndlophu Lodge offers self-catering accommodation, and is located on the banks of the Sabie River; situated in a private estate in the Kruger National Park. 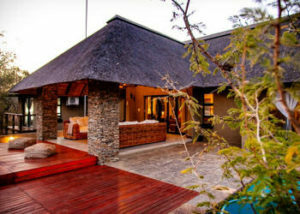 This tastefully decorated, fully air-conditioned, thatched-roof lodge comprises 3 en-suite bedrooms. The main bedroom is furnished with a king-size bed; the second room is equipped with a queen-size bed, and the third bedroom has 2 single beds. Each room features an en-suite bathroom, and 2 of the rooms open onto the main patio. The open-plan, fully equipped kitchen contains the necessary appliances to cook meals, and leads to a separate scullery and laundry area. The adjacent living area features an 8-seater dining table and the lounge has an HD TV and a fireplace. The living area opens on to a large patio, which has a built-in gas braai facility, a bar area, and outdoor dining furniture. This patio overlooks the pool and a private boma area with a firepit. Elephant Point Nyarhi Lodge offers self-catering accommodation, and is located on the banks of the Sabie River; situated in a private estate in the Kruger National Park. This modernly decorated, fully air-conditioned thatched-roof lodge comprises 3 en-suite bedrooms and an open-plan living area. The main bedroom is furnished with a queen-size bed, and the second and third rooms each have twin beds. Both bedrooms feature an en-suite bathroom. The fully equipped kitchen contains the necessary appliances to cook meals. There is a separate scullery and laundry area leading off the kitchen. The adjacent living area features a 6-seater dining table, and the lounge has a full HD TV and a fireplace. The living area leads out onto a large covered deck, which has a gas braai facility and sun loungers. This entertainment area overlooks the swimming pool and boma area with a firepit. From the swimming pool, guests will be able to view various game that frequently visits the river. Established in 1998 by the Vastapane family, Buffaloland is a privately owned game farm that is dedicated to preserving Africa’s natural legacy while ensuring an exclusive African experience. Located just a stone’s throw away from the Kruger National Park, Buffaloland is perfectly placed to discover the Big 5, while a number of unique attractions in the area offer a selection of unforgettable experiences. Of course, with an impressive array of wildlife in Buffaloland itself, staying close to home offers its own reward as you relax by the teeming watering holes or enjoy an exciting game drive. Located on the Eastern border of the vast Buffaloland, Giraffe Camp offers a relaxed bushveld experience. Comfortable, air-conditioned suites all have full en-suite bathrooms and kitchens, making it ideal for those wanting a self-catering option, while our wonderful staff will take care of the rest. Overlooking a large central lawn shaded by majestic indigenous trees, the slow rhythm of Africa will enter your soul, encouraging you to do nothing more than relax by the pool or take a slow stroll down to the bird-hide at the edge of the dam for a unique opportunity to observe nature undetected. Giraffe camp also features a large enclosed boma tucked away in the bush, where wooden canvas chairs are your front row seat to take in the beauty of the star-strewn sky in silence, or if you’re in the mood for something a bit more sociable, a large central camp fire draws you together and invites you to share your stories at the end of each day. Nestled in the shade of indigenous riverine trees, on the banks of the Mazaiembangi River, Nyati Pools tented self-catering camp offers comfortable, rustic accommodation for a real African adventure. Nyati Pools Camp offers accommodation in 5 canvas tents, each furnished with 2 single beds, and their own private deck. The tents have use of 2 separate bathrooms with shower, toilet and basin, that are hidden among the tents, while a fully equipped kitchen is situated outside under a thatched dining area, next to the fire pit and a swimming pool. A hide above the building offers a bird’s eye view of the water’s edge and the surrounding trees and birdlife. Nyati tented camp brings you close to the sights and sounds of the African wild. Lying in your bed at night, gently serenaded by the sounds of the bushveld you may wonder what the next day in Africa has in store for you as you drift into a wild African dream. Xanatseni Private Camp is a thatched, full-board camp which provides absolute comfort while retaining the charm and ambience of a bygone safari era. Accommodation comprises 5 spacious rooms with en-suite bathrooms and a boma area with camp fire, perfect for enjoying evening drinks around the fire, or warming you up with your coffee before the morning game drive. On-site facilities include a large swimming pool with a view of the surrounding bush, a bar with a large flat screen TV and DStv, a patio area with sun loungers and couches, a lookout tower with a view of the water hole, a boma area, a fully equipped gym, a multiple open-plan living areas in the main lodge building and Wi-Fi in the main guest areas. Xanatseni has a team of staff living on the premises that will cater for your every need. The camp boasts comfortable, contemporary interior décor throughout. The lookout tower at the entrance offers panoramic views of the bush and overlooks the local watering hole for those who missed out on the game drives. Game viewing at Xanatseni is conducted in an open vehicle and provides guests with the opportunities of seeing a myriad of wild animals including, but not limited to, the big 5 and a vast number of bird species. Activities include daily game drives with a qualified guide and walking trails available on request. 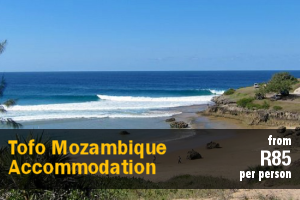 Services include daily cleaning of rooms, bush breakfasts and dinners if the weather allows it. Xanatseni is home to an abundance of wildlife, including lion, leopard, rhino, elephant and buffalo. In addition to the Big 5 animals that are regularly sighted include giraffe, zebra, warthog, spotted hyaena, baboon, hippo, impala, kudu, vervet monkey, waterbuck, wildebeest, duiker, steenbok and more. Camp George is situated within the Klaserie Private Nature Reserve, adjacent to the Kruger National Park, this select camp offers families, friends and small business groups a truly private wildlife experience. Camp George can accommodate 10 guests. The 2 main bedrooms feature a queen-size bed and an en-suite bathroom fitted with a bath, shower, basin and toilet. The additional 2 bedrooms feature 2 single beds and guests have access to a shared a bathroom. All rooms are serviced daily and feature air-conditioning, overhead fans and fly screens. The main building features a well-equipped kitchen, scullery and pantry. Guests have access to an open-plan informal dining room and TV lounge area a TV with DStv, Wi-Fi, and an outdoor terrace with a gas braai and a guest bathroom. The lapa lounge features an open-plan dining room and bar area equipped with a fridge, an ice machine, a TV with DStv access, and an indoor fireplace, and braai area. All wood is supplied and the unit includes a camp guard who will light the fires in the evening. Guests have access to pool and garden with loungers overlooking a watering hole. There is a low-lying electric fence around the entire camp. 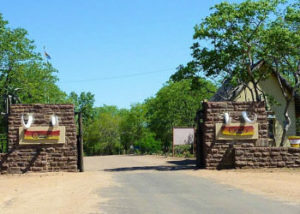 The camp is located a 5.5 hours drive from Johannesburg. Transport from Hoedspruit to the camp can be arranged at an additional fee. Mananga Private Bush Retreat offers both the business and leisure traveler elegance, tranquility and a magnitude of activities in the midst of the renowned Sabi Sand Private Game Reserve and the Kruger National Park. Mananga Private Bush Retreat is located on a private wildlife estate next to Protea Hotel Kruger Gate, yet is only 42 km from Hazyview town. This is a self-catering establishment for your convenience breakfast and dinner can be booked at the Hotel. Mananga offers a luxurious bush experience, authentically designed and decorated with two beautifully designed en-suite bedrooms, fully equipped kitchen, lounge and patio, set beautifully in the heart of the African bush with prolific bird life & general game. This owner-managed establishment offers tailor-made Safari packages each uniquely developed to suite your individual requirements, making each moment memorable. 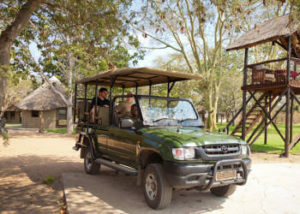 Safaris are done in an open safari vehicle with an experienced guide these day trips or multiple day tours are done in the renowned Kruger National Park. 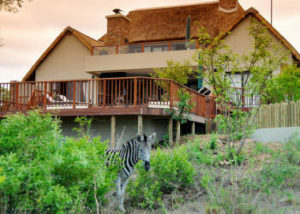 Overnight Safaris in the Kruger Park is also available. Fly in to Skukuza’s new airport and we will gladly collect you and transfer to the retreat only 15 km away. We are perfectly positioned for daily game drives as we are only 800 meters away from the Kruger National Park’s main gate “Paul Kruger Gate”. The Panorama Route with its spectacular view points, like God`s Window and the Bourke`s Luck Potholes, Three Rondawels, Blyde River Canyon and beautiful waterfalls are a must see during your stay, private tours can be arranged prior to arrival. At Mananga Private Bush Retreat, we endeavor to make you feel at home. Informative welcome packs are prepared and reservations can be made for transfers, restaurants, safaris, Panorama Tours and adventure activities. Crocodile Bridge Rest Camp in the world-renowned Kruger National Park is a small and delightful camp in the southeastern corner of Kruger, on the northern bank of the Crocodile River, from which it derives its name. The game viewing area is known as the ‘Southern Circle’ and is renowned for its concentration of different prides of lion with different hunting techniques and behaviour. It has an abundance of prides, herds, troops, packs and swarms. It is home to a larger percentage of the Kruger National Park’s total rhino population. Come and experience humans living in harmony with nature. Here one has the ability to experience the sharp contrast between the wilderness and the world out there. Crocodile Bridge Rest Camp offers a shop with a small take-away food section, a communal laundromat, filling station, communal kitchens and ablutions, braai facilities, and a basic day visitor picnic area in the camp. Activities at Crocodile Bridge Rest Camp include guided bush walks, and morning, night and day game drives in the company of trained field guides, as well as 4×4 adventure trails. 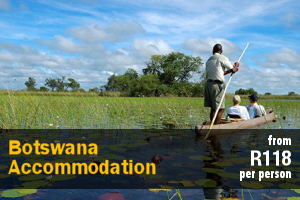 The Mopani Rest Camp in the world-renowned Kruger National Park is set on the banks of the Pioneer Dam. 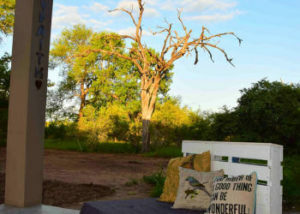 Named after the mopane veld that surrounds the camp, this unique, tranquil and stylish rest camp nestles among the koppies with Mopani trees, and has a unique signature feature of a huge gnarled old baobab tree in the heart of the camp. The vegetation inside the camp is left as found in the wild, adding to the unique atmosphere of the camp. 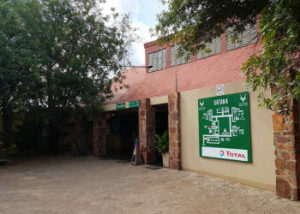 The Mopani Rest Camp offers a cafeteria and a shop, a restaurant, a mini ATM facility in the restaurant, a ladies bar with a TV, a communal laundromat, filling station, communal kitchens and ablutions, braai facilities, a day visitor picnic area, and a swimming pool for overnight residents. Activities at Mopani Rest Camp include guided bush walks, and morning, night and day game drives in the company of trained field guides, bush breakfast and bush braais, in-camp trail walks, Shipandani sleep-over Bird Hide located 3 km outside the camp, Pioneer Dam Bird Hide located 4 km outside the camp, Tropic of Capricorn located 12 km north of the camp, and wildlife films shown daily at reception during office hours. 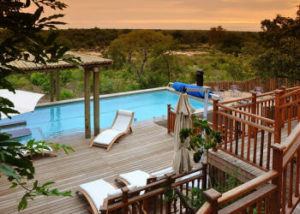 The Tamboti Tented Camp in the world-renowned Kruger National Park is a small camp situated on the banks of the Timbavati River, on the western boundary of the Kruger National Park, approximately 2 km east of Orpen Rest Camp. 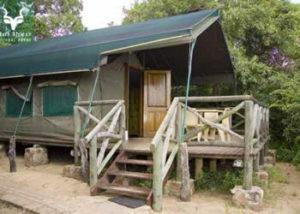 Due to the size and location of this camp, Tamboti is one of the most popular camps in the park. 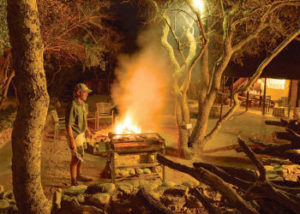 A great feature is a communal boma braai area, which makes it ideal for small groups of people to gather around the campfire and relive the animal sightings of the day. For the birding enthusiasts, Tamboti offers a bird hide in which to spend hours looking for that exclusive raptor that has up to now eluded you. The natural bush feeling is kept inside the camp, which has the result of emphasizing guest privacy. The Tamboti Tented Camp has 2 communal kitchens with 24-hour boiling water, electric hot-plates, and washing up facilities. 2 communal ablution blocks are available. The Orpen Rest Camp in the world-renowned Kruger National Park is centrally situated on the western border of the Park, about 500 km from Gauteng. Orpen can be accessed via a few different routes namely Orpen and Phalaborwa Gates. The accessed roads are all in good conditions with the main roads all being National roads. 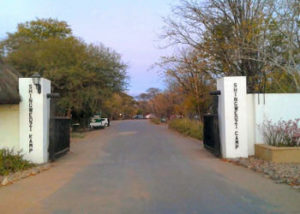 The nearest gate is Orpen Gate, which is 500 m from the main camp. Orpen is a small and beautiful camp that derived its name from the surname of the donor of the land, Eileen Orpen. The scattered trees and wide-open plains covered by sweet grass attract many browsers. This in turn, attracts the eye-catching cheetah, lion and leopard. Well known for its diversity of habitat and wildlife, Orpen offers visitors an excellent opportunity to experience close encounters with elephant, rhino, buffalo, lion and leopard in a natural environment. Wild dog, cheetah, zebra and giraffe are also indigenous to this area, a paradise for the wildlife enthusiast. The Orpen Rest Camp offers a shop, a communal laundromat, filling station, communal kitchens and ablutions, braai facilities, a swimming pool for overnight residents, and a day visitor picnic area. Activities at Orpen Rest Camp include guided bush walks, and morning, night and day game drives in the company of trained field guides, Timbavati Picnic Site located about 55 km outside the camp, and Ratel Pan Bird Hide located about 58 km outside the camp. The Lower Sabie Rest Camp in the world-renowned Kruger National Park graces the banks of the Sabie River. Visitors cannot help but feel soothed by the view towards the river and the Lebombo mountains beyond, across expansive green lawns, shaded from the relentless African sun by majestic sycamore fig, marula and Natal mahogany trees. In this rest camp, the bounty and plenitude of nature are very evident, eloquently symbolised by the most conspicuous of its numerous trees, which provides generously for the livelihood of many birds and insects. Not only do these giants produce fruit at least twice a year, but different trees produce fruit at different times, extending the gifts of life over many months. Watching the endless procession of animals coming to drink at the Sabie River establishes a sense of one’s own place in the eternal cycle. Lower Sabie Rest Camp offers a cafeteria and a shop, a restaurant, a communal laundromat, filling station, communal kitchens and ablutions, braai facilities, a separate day visitor picnic area on the periphery of the camp, a swimming pool for overnight residents, and an Eco Information Centre. Activities at Lower Sabie Rest Camp include guided bush walks, and morning, night and day game drives in the company of trained field guides, bush breakfast and bush braais. SANParks Roodewal Bush Lodge in the world-renowned Kruger National Park is a private self-catering bush lodge rented out exclusively to 1 group of 18 guests at a time. 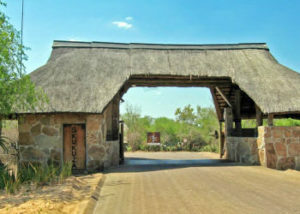 Roodewal Bush Lodge is a secluded lodge situated 44 km north of Satara, on the banks of the Timbavati River. Riverine plant life, like Natal mahogany and jackalberry trees, create a picturesque view from the braai area, only to be crowned by the brightness of the stars at night. The unique quality of this camp is due to the extreme privacy of each individual sleeping unit, making it ideal for celebration parties, corporate think-tanks and small intimate wedding parties. Not only is the whole camp occupied by the party making the booking, but the units are spaced to offer privacy to each guest or family occupying that unit. Another special feature is the private viewing deck, built on stilts and overlooking the Timbavati River. Accommodation is offered in one 6-bedded cottage and three 4-bedded cottages. The first family cottage contains 2 bedrooms, each with an en suite, 1 with a bath and the other with a shower. The other 3 bungalows each contain 3 single beds, a loft with 2 mattresses, a shower en suite, and a small fridge. Solar panels provide power for lights and fans only. There are no electrical plug points available for appliances in cottages. SANParks Boulders Bush Lodge in the world-renowned Kruger National Park is a private self-catering bush lodge rented out exclusively to 1 group of 12 guests at a time. 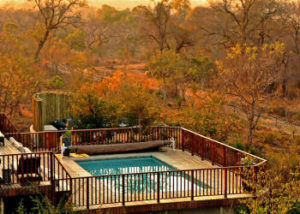 The Boulders Bush Lodge is situated approximately 25 km south of Mopani, and is embedded in the rocky outcrops found in the north of the Kruger National Park. The bush lodge is an exclusive, private lodge with a unique style and atmosphere, with multiple rooms and bathrooms. It provides the opportunity for guests to enjoy complete privacy, as only residents are allowed entrance to the lodge area. Accommodation is offered in one 4-bedded bungalow and four 2-bedded bungalows. 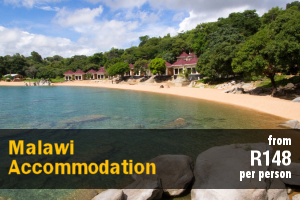 The majestic rocks form a backdrop to the bungalows that are built on stilts, with wooden boardwalks connecting the bedrooms to the communal area. The rooms are spaced closely together, without losing their privacy, making it suitable for groups made up of close families and friends that want to experience nature’s tranquillity together. The first bungalow contains 2 bedrooms, each with an en suite, 1 with a bath and the other with a shower. The other 4 bungalows each contain 1 bedroom and an en suite with a bath and a shower. Solar panels provide power for lights and fans only. There are no electrical plug points available for appliances in bungalows. The living area comprises a fully equipped kitchen, dining room, bar, lounge, and a braai and viewing deck. The kitchen is equipped with a gas stove and oven, a fridge-freezer, and cutlery and crockery. Braai facilities are provided. 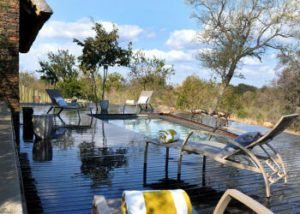 The viewing deck affords guests an unhindered view of the Mopane veld plains, surrounding a private waterhole. SANParks Sable Sleepover Hide in the world-renowned Kruger National Park is situated approximately 10 km from of Phalaborwa Gate, and is a unique accommodation facility where guests can feel part of nature. A bird hide by day, it transforms into a primitive overnight dwelling by night, where a select few can experience the Kruger National Park nightlife first hand. 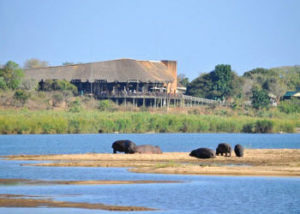 The hide overlooks the Sable Dam where an abundance of animals gather to drink. Hear the lion roar and the hippo grunt metres away from where you are sleeping and know this is a true African experience. The Sable Sleepover Hide offers a unique, exclusive and private overnight experience for a minimum of 2 guests and a maximum of 9 guests at a time, available to guests from half an hour prior to gate closing times. The hide must be reserved in its entirely, and must be be vacated half an hour after gate opening times. The backpacker-style sleeping units are contained in wooden structures that are locked to the inside wall of the hide by day. At night these structures pull down to construct a light bed base. Mattresses can be found in the cupboard at the hide. If required, bedding is available at reception. Each bedding bag consists of a duvet, pillow, duvet cover, sheet, mattress protector, pillowcase and mosquito net. An environmental toilet is available for the overnight guests in a separate area on the hide perimeter. 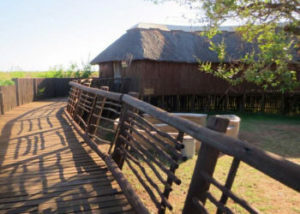 The Sable Sleepover Hide has a boma with braai facilities. There is no electricity. One light, that operates for about 5 hours, can be provided on request. No cooking utensils such as cutlery, crockery or any other cooking equipment is provided. Only the very perimeter of the facility is fenced. Your vehicle may be pulled into the lapa at the hide during the night for safety purposes. SANParks Shimuwini Bushveld Camp in the world-renowned Kruger National Park is the most modern of Kruger’s bushveld camps, being completely rebuilt after the floods in 2000. Shimuwini is a Shangaan word for ‘Place of the Baobab Tree’. 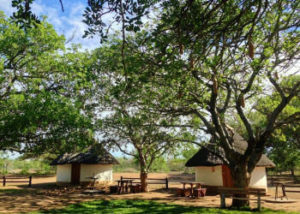 The camp is so named because the nearby Letaba River which fronts the cottages, is lined with these huge trees, one of them estimated to be between 2000 and 3000 years old. 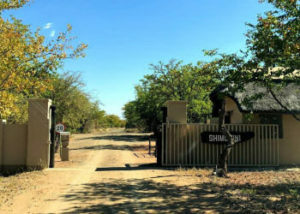 Accommodation at Shimuwini Bushveld Camp caters to a variety of guest requirements and is well suited for those guests who are looking for a self-catering bushveld experience. There is a mini-shop at reception that stocks basic items such as firewood, ice and Telkom phone cards. There are no foodstuffs such as meat available. The camp has a bird hide, a communal boma with braai facilities and a swimming pool at the boma. SANParks Pafuri Border Rest Camp in the world-renowned Kruger National Park lies in the northernmost part of the park, in close proximity to Punda Maria, near the confluence of the Luvubu and Limpopo rivers. Visitors will find themselves in some of the most potentially productive birding territory in South Africa. Accommodation at Pafuri Border Rest Camp caters to a variety of guest requirements and is well suited for those guests looking for a self-catering bushveld experience. 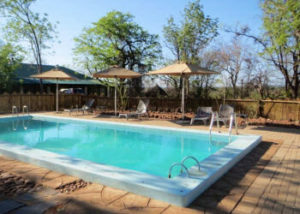 The Pafuri Border Rest Camp has a reception, a museum and a communal swimming pool. Activities at the camp include morning, sunset or all-day guided bush walks, and sunrise, night or all-day guided game drives. The Balule Rest Camp in the world-renowned Kruger National Park is a small satellite camp set deep in the heart of the park, in the most exquisite topography. Named ‘Balule’ after the Tsonga word for the Olifants River, this camp is one of the best places for guests to experience nature first hand. Situated more or less in the centre of the park, just south of Olifants Camp, Balule lies close to the mighty Olifants River. With only the most basic of facilities and no electricity, a low fence is the only barrier that separates you from the wilderness, resulting in a true back to basics experience. It is this unique wilderness feel of the camp that makes it a firm favourite with backpackers, the caravanning community and other visitors who want to get away from it all. The camp has a communal kitchen with a scullery, gas stoves and a communal freezer. One ablution block is available. While there is no electricity in the camp, lanterns are provided. Braai facilities are available. SANParks Berg-en-Dal Rest Camp in the world-renowned Kruger National Park is situated on the bank of the Matjulu Spruit with a view of softly undulating hills to the east. On the northern and southern sides dry riverbeds and a dam border the camp. There are large trees along the streams and dry riverbeds. Special care has been taken to preserve the natural vegetation in the camp. Berg-en-Dal is also the only camp set in a rugged mountain environment. 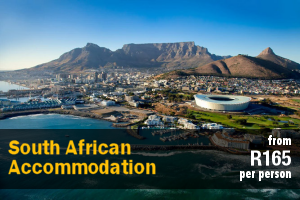 Berg-en-Dal offers a cafeteria and a shop, Tindlovu Restaurant, a communal laundromat, filling station, communal kitchens and ablutions, braai facilities, an auditorium and conference facilities, a basic day visitor picnic area in the camp, and a swimming pool for overnight residents. Activities at Berg-en-Dal include guided bush walks, game drives in the company of trained field guides, bush breakfast and bush braais, Bushman and Wolhuter Wilderness Trails, seasonal kids educational programme, rhino perimeter trail camp walks with braille facilities, and wildlife film screenings every evening except on Sundays. 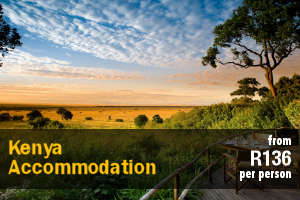 The Letaba Rest Camp in the world-renowned Kruger National Park is an idyllic rest camp, situated on a sweeping bend of the Letaba River, midway between the southern and northern boundaries of the Kruger National Park. The name means ‘river of sand’, and the sandy riverbed is an excellent location for game viewing, particularly elephant, which thrive in the area. Letaba is a green oasis in the surrounding mopane veld, and remains a firm favourite with visitors. At night the stars overlook a symphony of sounds. Owls, nightjars, frogs, fruit bats, crickets and cicadas all vie to be heard, until the lion roars, then all are silent. 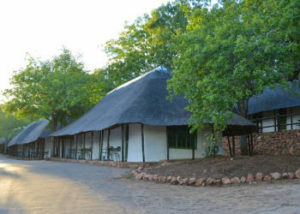 Letaba Rest Camp offers a cafeteria and a shop, a restaurant, a communal laundromat, filling station, communal kitchens and ablutions, braai facilities, conference facilities, a basic day visitor picnic area in the camp, a swimming pool for overnight residents, a TV lounge, Letaba Elephant Hall museum, and seasonal kids education programmes. Activities at Letaba Rest Camp include guided bush walks, and morning, night and day game drives in the company of trained field guides, 4×4 adventure trails, bush breakfast and bush braais, and wildlife film screenings except on Sundays. 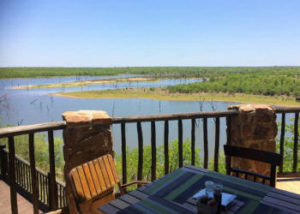 The Olifants Rest Camp in the world-renowned Kruger National Park is situated atop a hill which towers several hundred feet over the Olifants river. Views from the lookout platforms allow one to see the river below, just as a soaring eagle would survey it, as it hunts from the skies. Guests that visit Olifants will be exposed to an unforgettable window of Africa. The Olifants Rest Camp offers a cafeteria and a shop, a restaurant, a communal laundromat, filling station, communal kitchens and ablutions, braai facilities, and a day visitor picnic area with gas braais for rent. Activities at Olifants Rest Camp include guided bush walks, and morning, night and day game drives in the company of trained field guides, and bush breakfast and bush braais. The Punda Maria Rest Camp in the world-renowned Kruger National Park lies in the northernmost part of the Kruger National Park, 8 km from Punda Maria Gate. 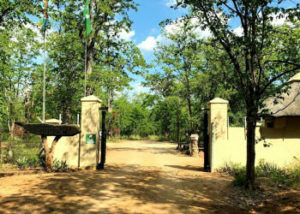 The camp is situated in the Sandveld region that is often described as the botanical garden of the Kruger National Park. There are numerous plant species which occur that are unique to the area. Game species most likely to be sighted include impala, zebra, buffalo, elephant, eland and sable and the area is a bird paradise. The Punda Maria Rest Camp offers a cafeteria and a shop, a restaurant, a communal laundromat, filling station, communal kitchens and ablutions, braai facilities, a swimming pool for overnight residents, and a day visitor picnic area located next to the Punda Maria Gate 8 km outside the camp. Activities at Punda Maria Rest Camp include guided bush walks, and morning, night and day game drives in the company of trained field guides, and a bird hide overlooking the waterhole on the camping site fence. The Shingwedzi Rest Camp in the world-renowned Kruger National Park lies in the northern part of the park in the heart of mopane country. Waterbuck, nyala, kudu and elephant are often seen here and the bird life is prolific. With a back to nature feel about it, this beautiful and rustic camp, which is untouched by modern technology, will definitely leave a lasting impression with its aesthetic tranquillity. A scenic game drive along the Shingwedzi River in a south-easterly direction towards the Kanniedood Dam is one of the most rewarding drives in the Park. Staying overnight at Shingwedzi is an experience that will last a lifetime. It is a rustic camp that still carries the essence of the bush and is untouched by modern technology. Experience magical evenings where the accommodation is arranged in 2 separate circles and the glow emanating from braai stands cast a tranquil spell. The Shingwedzi Rest Camp offers a cafeteria and a shop, a restaurant, a communal laundromat, filling station, communal kitchens and ablutions, braai facilities, a swimming pool for overnight residents, and a day visitor picnic area. Activities at Shingwedzi Rest Camp include guided bush walks, and morning, night and day game drives in the company of trained field guides, wildlife films on the big screen daily except Sundays, Kanniedood Bird Hide located about 7 km east of the camp, and Ntishivana Bird Hide located about 30 km east of the camp. The Satara Rest Camp in the world-renowned Kruger National Park is a busy camp, situated in an excellent game viewing area, with the bush relatively open and the animals plentiful and diverse. The camp itself has a rustic charm, with the bulk of the accommodation set out in a series of circles. Satara is well wooded and the bird life is prolific. At night the clink of fruit bats is fused with the chirping of cicadas and crickets. The calls of owls and nightjars add to the symphony that is punctuated intermittently by the whoop of hyena, the screech of jackal and the roars of lion. 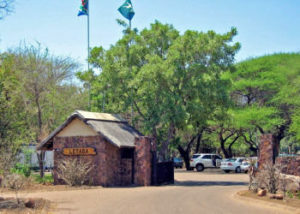 The Satara Rest Camp offers a deli and a shop, a restaurant, a communal laundromat, filling station, communal kitchens and ablutions, braai facilities, a swimming pool with children’s playground for overnight residents, and a day visitor picnic area with a boma on the perimeter of the camp. Activities at Satara Rest Camp include guided bush walks, and morning, night and day game drives in the company of trained field guides, bush breakfasts and braais, seasonal kids educational programmes, wildlife films on the big screen daily except Sundays, Sweni Bird Hide located on the Sweni River about 30 km from camp, Ratel Pan Bird Hide located on the Timbavati/Roodewal road about 35 km from camp, and through prior arrangement with the camp, catered traditional dances can be arranged. SANParks Biyamiti Bushveld Camp in the world-renowned Kruger National Park is one of the most beautiful bushveld camps, nestled on the banks of the Mbiyamiti River, hidden by delagoa thickets. The camp is ideally situated between huge wild fig and jackalberry trees with vast numbers of other fauna and flora species in abundance. The area is a game spotter’s dream come true. 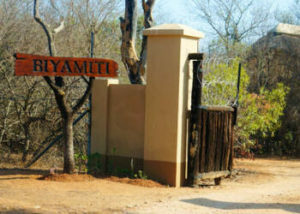 Accommodation at Biyamiti Bushveld Camp caters to a variety of guest requirements and is well suited for those guests who are looking for a self-catering bushveld experience. There is a mini-shop at reception that stocks basic items such as firewood, ice and Telkom phone cards. There are no foodstuffs such as meat available. SANParks Bateleur Bushveld Camp in the world-renowned Kruger National Park is a delightful camp situated on the banks of the Mashokwe spruit approximately 40 km southwest of Shingwedzi in the beautiful northern mopane woodland savannah of the Kruger National Park. Named after the majestic eagle, the bateleur, and being the oldest and the smallest of the bushveld camps, Bateleur Bushveld Camp offers a unique atmosphere and superb game viewing. 1 of the many features Bateleur offers is a game-viewing hide that overlooks a waterhole just outside the camp. 2 dams, Silwervis and Rooibosrand, are within close range of the camp and are restricted to the residents of Bateleur Bushveld Camp. 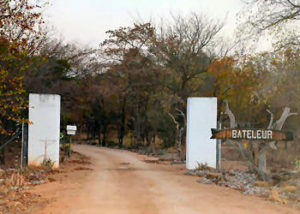 Bateleur Bushveld Camp offers accommodation in fully equipped guest cottages. The kitchens are fully equipped and have microwave ovens. The guest cottages are serviced daily and supplied with bedding, towels and soap. Each unit has its own braai facilities, its own electricity points, and TVs with local TV channels. 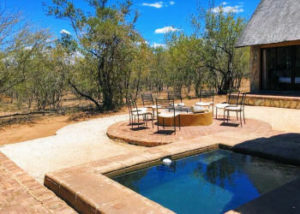 Bateleur Bushveld Camp is the best equipped of the bushveld camps in the Kruger National Park and is suited for those guests who are looking for a luxury bushveld experience. 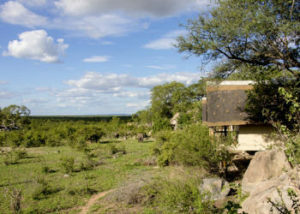 SANParks Sirheni Bushveld Camp in the world-renowned Kruger National Park nestles on the edge of the park’s northern plains within the mopane veld of the region. The Mphongolo River, lies next to the camp. ‘Sirheni’ is a Tsonga word that means ‘cemetery’, after a type of elephant graveyard at a site near to the camp. 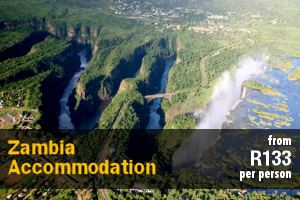 The accommodation facilities and the camp’s 2 bird hides overlook the river and a wide variety of game and birds are attracted to it. Visitors have been awakened to the sounds of lion and hyena, as there are often kills at the river. Sirheni has a resident leopard that is seen on a regular basis, often coming down to drink at the river. Accommodation at Sirheni Bushveld Camp caters to a variety of guest requirements and is well suited for those guests who are looking for a self-catering bushveld experience. There is a mini-shop at reception that stocks basic items such as firewood, ice and Telkom phone cards. There are no foodstuffs such as meat available. The camp has a communal boma with braai facilities at the perimeter of the fence overlooking the river. 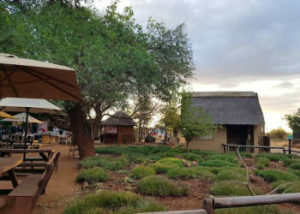 The Skukuza Rest Camp in the world-renowned Kruger National Park is situated on the southern banks of the Sabie River, and is the park’s largest rest camp and administrative headquarters. The camp is well foliaged and there are some lofty trees along the river’s edge. Activities and facilities are diverse, as are the animals and plants found both within the camp and in the surrounding areas. The Skukuza Rest Camp offers a bank, a post office, car hire, a deli and a shop, a restaurant, a communal laundromat, filling station, garage with workshop, communal kitchens and ablutions, braai facilities, 2 swimming pools for overnight residents, a car wash, an auditorium and conference facilities, a day visitor picnic area located 4 km outside the camp with its own swimming pool, and the Skukuza Indigenous Nursery located approximately 5 km outside the camp. Activities at Skukuza Rest Camp include guided bush walks, and morning, night and day game drives in the company of trained field guides, bush breakfasts and bush braais, a 9-hole golf course, Stevenson Hamilton Memorial Library, seasonal kids educational programmes, wildlife films on the big screen daily except Sundays, Lake Panic Bird Hide located approximately 7 km outside the camp, and through prior arrangement catered traditional dances can be arranged.